Sadly Unravel crashes almost every time I launch it. I don't have K-Lite Codec on my Laptop but do have CCCP & VLC installed. After pressing PLAY it appears that my screen is switching to an inferior resolution as the ICONS all get bigger & fuzzy. I'm running a pretty new Intel Core i7 laptop with Windows 10, 64 bit, and Nvidia GTX1050 video card. Di I need K-Lite or will CCCP or VLC work just fine? Perhaps Unravel is running on your internal graphics hardware. You should check Nvidia Control Panel -> Manage 3D Settings -> Program Settings -> Unravel.exe and choose your graphic card instead of internal graphics. I had similar problems like you and this was the soulution in my case. I don't know why but I have to go through this procedure after every Geforce driver update. Thanks for the quick reply. Your idea seems like a pretty good one, but unfortunately it doesn't seem to be working. Any other thoughts would be appreciated! @Raygun113 Is the game definitely running on your Nvidia care and not the integrated card? 2 -In Section 1 - chose "unravel.exe"
2 -In Section 1 I chose "unravel.exe"
Thus, I'm not totally positive I changed the Settings but I think its possible. 3. 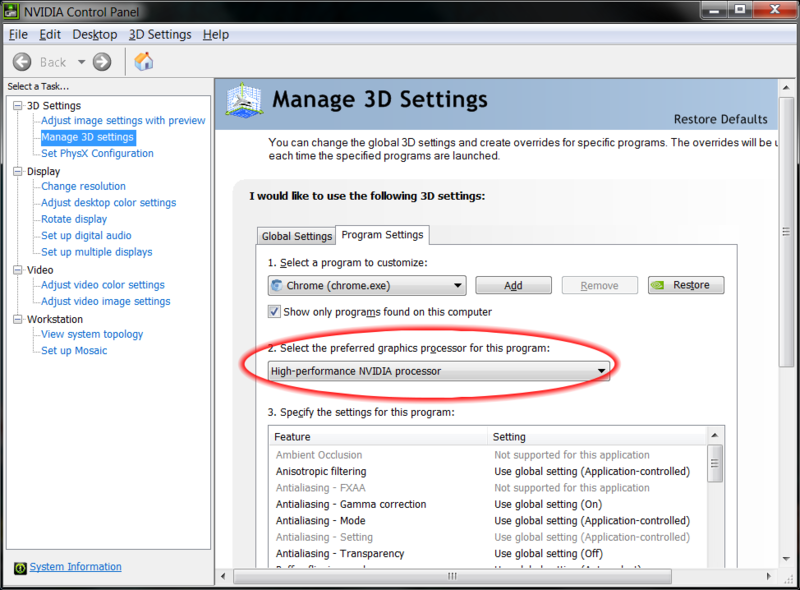 In left panel select "Manage 3D Settings"
8. Under section 1., check the box for "only programs on this computer"
Thanks for the instructions. I tried both suggestions exactly as described without success. Then I tried a few variations after that. Perhaps 10 re-boots in total. Could there be another angle we haven't tried? @Raygun113 Are you playing on an admin account? In my case that was giving me the hint to check for the driver settings. Only wanted to share my experiences. From now on I'll leave it to you EA professionals. I appreciate the input I'm receiving from both of you! Unravel looks like a great game that my wife & I are hoping to play some Friday night. 1) I'm not sure how to run the game in Admin mode? Does this mean I join Origin again in a different way or access it in some other manner? 2) The tiny green NVidia Icon did not appear to flicker or change color when I Alt-Tabbed back to it. Hmm...the main difference I see between our systems is different video cards. Could there be an issue with my version?